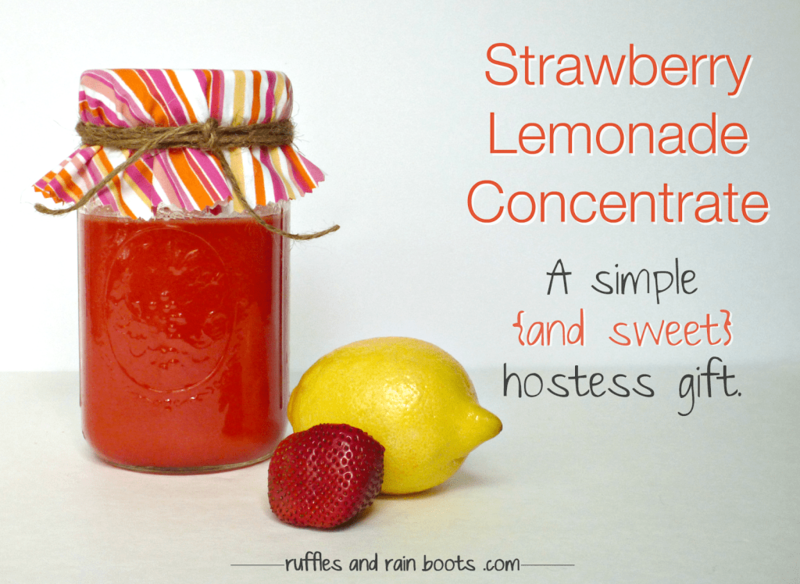 The secret to the best strawberry lemonade is this concentrate. Make it in just minutes and gift it during the big BBQ or keep it for yourself! Let’s get started bringing the best of summer to an ice-filled glass. We spent the 4th of July with some great friends and, in addition to the food we brought, I wanted to bring a drink that everyone could enjoy. Even though I whipped this up as a refreshing non-alcoholic drink, I knew from the start that I’d have this with sparkling water and vodka. It’s a wonderfully light drink and I like it because I can control the sugar, unlike store-bought juices. 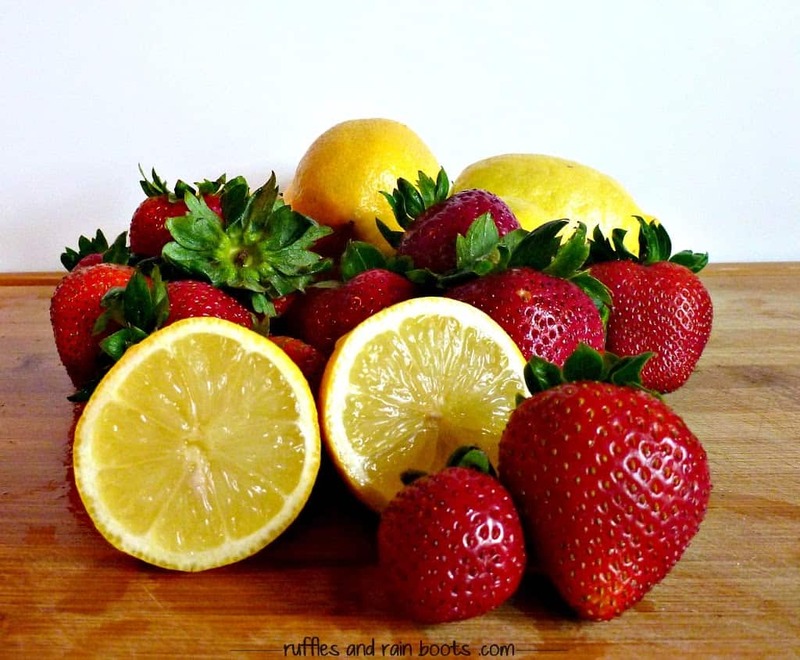 Organic strawberries, blueberries, and lemons go on sale quite a bit, so next time you see them, stock up. I immediately put the idea together to bring a lemonade to the Independence Day festivities, but couldn’t decide on strawberry lemonade or blueberry – I’m a sucker for both. Wash and juice the lemons. You need about 3/4 cup of freshly-squeezed lemon juice. We use organic lemons and they seem to be a bit smaller than their non-organic counterparts, so it tends to take a few more of these. Once juiced, put the lemon juice through cheesecloth or a fine-mesh sieve. Set aside. Next, make the simple syrup in order to have time for it to cool. Add the 1/2 cup of water and the granulated sugar in a small saucepan and cook on medium heat, stirring occasionally. Once dissolved (about 3 minutes), remove it from the heat and set it aside to cool. Wash and hull the strawberries. 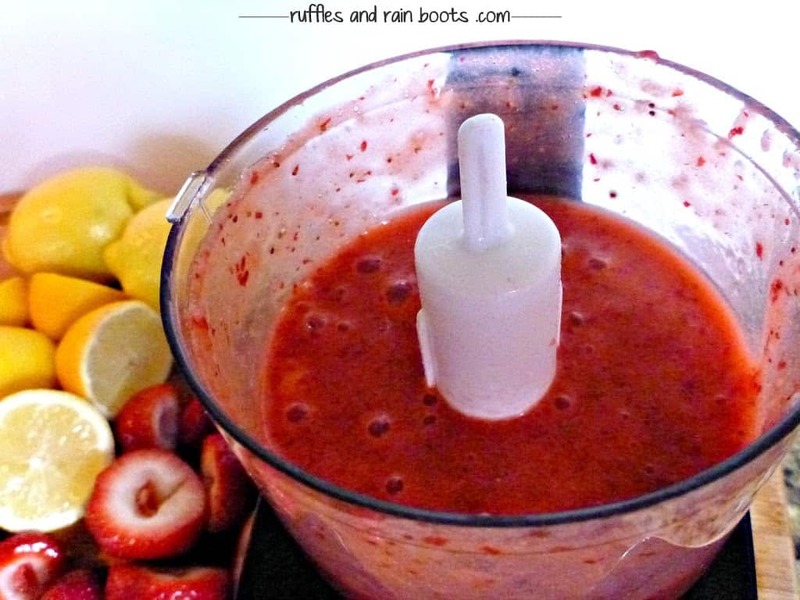 Run them through a food processor (or blender) until smooth. Once all of the chunks are gone, strain the juice through cheesecloth or a sieve. 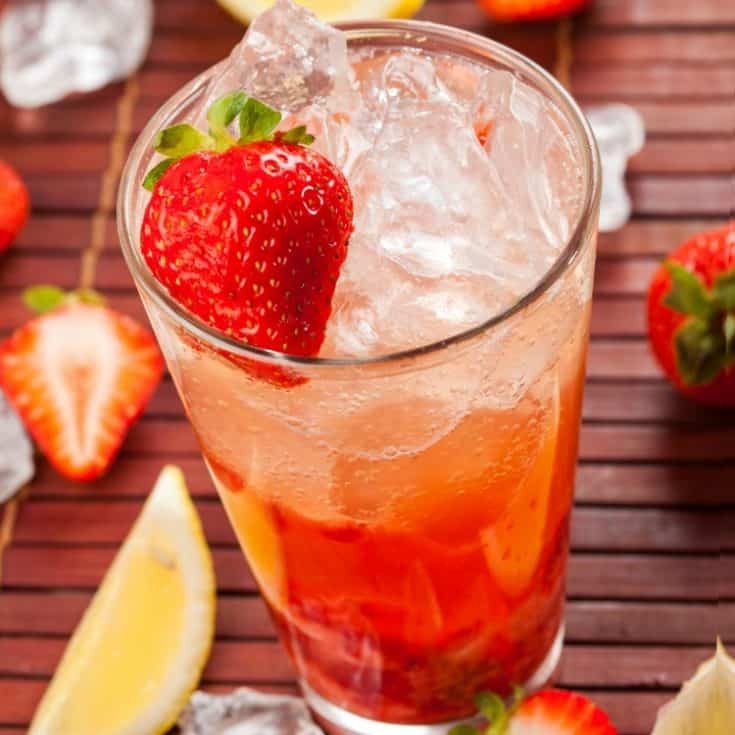 You'll love the taste of this strawberry lemonade. I added the lemon juice, strawberry juice and simple syrup to a mason jar, stirred it to combine, and popped it in the fridge until we left for the party. For presenting to my friends (and fabulous hostesses), I traced a bowl to cut a fabric circle and tied it up with twine. You could add a cute printable tag and present it in a small Dollar Store basket with a bottle of Perrier. This concentrate yielded about 8 drinks when mixed with Perrier and a shot (or three) of vodka. If you like your drinks sweeter, you can add more concentrate, or just mix it with filtered water for the kiddos and non-drinkers. In case you don’t drink it all, store it in the refrigerator for a few days until gone. What are your favorite summer drinks? Do you have a yummy blueberry lemonade recipe you can share? I’m still craving that combination and hope to be making some soon.